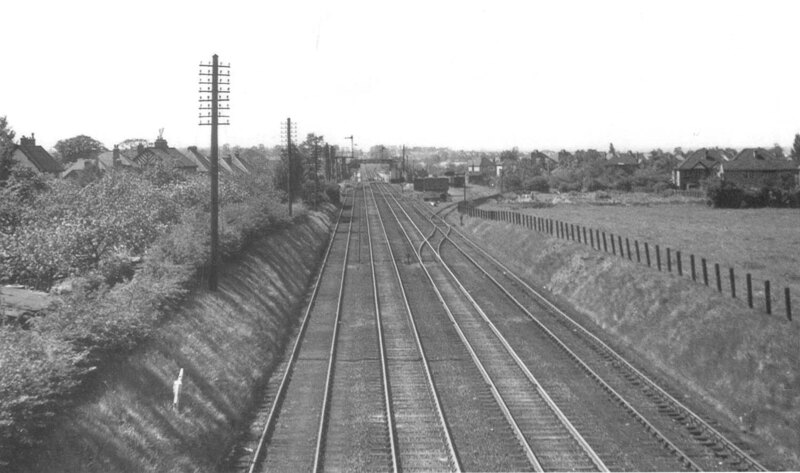 Looking from Land Lane road bridge towards Marston Green showing the down refuge siding on the left and the shunting neck on the right on 30th May 1955. The refuge siding was needed to move Birmingham bound goods traffic out of the way of passenger trains. The congestion was so severe at times during the day that traffic bound for Washwood Heath sidings would need to be retained at Adderley Park and further out should these locations be full.